Few people know the cathartic possibilities of music more than Jonathan Davis. From the very earliest Korn albums, this has been his outlet to channel the pain brought on from a history of bullying and abuse, and while the quality of that output may have hit something of a rough patch from the mid-2000s onwards, the resonance felt has clearly been enough to ensure that Korn have stayed among metal’s heavy-hitters even now. When it comes to the possibilities of a solo album from Davis’ though, things begin to look more uncertain; what’s usually boasted as the vehicle for the artist’s more personal form of expression becomes redundant given the lengths that Korn have gone in the past. And while Davis is no stranger to stepping out on his own with both production credits on the Queen Of The Damned soundtrack and his JDevil alter ego, early singles hinted that Black Labyrinth would be a much different beast from either of them. And that’s definitely true, but while the relative comparisons to Korn might be blatant (in that this could easily be rebranded as a new Korn album with little hassle), Black Labyrinth isn’t quite as oppressive in its darkness. Perhaps it’s the loose inspiration from the ganzfeld effect, the brain’s process of amplifying neutral noise to force the onset of hallucinations, and the looming presence that gives this album its sense of lucidity. That certainly feels like the case, with the washed-out darkwave of Please Tell Me, the grimy electronic pulse that runs through What You Believe, or the swirling, mystic Indian and Middle Eastern influences on Final Days and Gender. Even in the comparatively standard rock or nu-metal tracks, Davis’ love for softer tones of the gothic and new romantic feel like a driving factor, with the big, sweeping strokes of Your God, Basic Needs and What It Is feeling as integral and pitch-black as the crunch beneath them. And of course, there’s Davis himself tying everything together, his inimitable crows and cackles sounding as devious as ever, and offering a prick of maniacal energy that the smoothened production benefits from nicely. It definitely feels like a passion project for everything that’s gone into this album, but also because it’s one mighty uneven listen. Apparently Black Labyrinth has been in the works for over a decade and you can certainly tell, given how lumpen and overweight it can feel as it transitions from disparate piece to disparate piece. And with tracks that are so of their time like Happiness, which could easily be a late-2000s Marilyn Manson cut, it can feel more like a collection of odds and ends thrown together, with the justification of the “hallucinogenic experience” being thinly draped over for some kind of leverage. As for those hallucinations however, it can’t be denied that Davis is setting some kind of bar for himself. There’s a certain ritualistic quality to these songs that definitely fits the theme of enlightenment, finding positivity despite the mental anguish on songs like Walk On By and Basic Needs, or simply taking things as they come on What It Is. It’s probably the most positive that Davis has ever been on record, and even if the darker tone suggests latent undercurrents of uncertainty, it’s sleek and well-crafted enough to hold that positivity and make it work. Putting everything together, however, it makes it difficult to know what to think of Black Labyrinth as a whole. It’s a desperately uneven album with flaws and creative indecisions that couldn’t be more blatant, but it’s simultaneously a significant step away from Davis’ dayjob in terms of scope and theme, enough to make it compelling regardless of the angle it’s viewed from. Whether this will spawn a fruitful solo career alongside Davis’ work in Korn is debatable, but it’s far from the vanity project that so many albums in this vein are, and as far as bringing a new dimension to an artist who’s been around for this long goes, Black Labyrinth is well worth getting lost in. 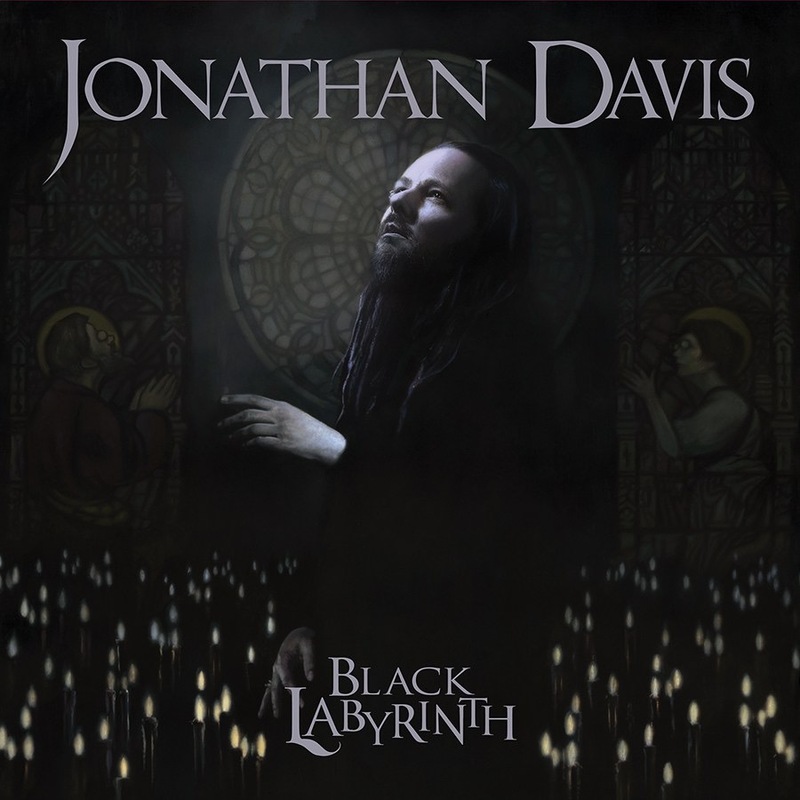 ‘Black Labyrinth’ by Jonathan Davis is released on 25th May on Sumerian Records.